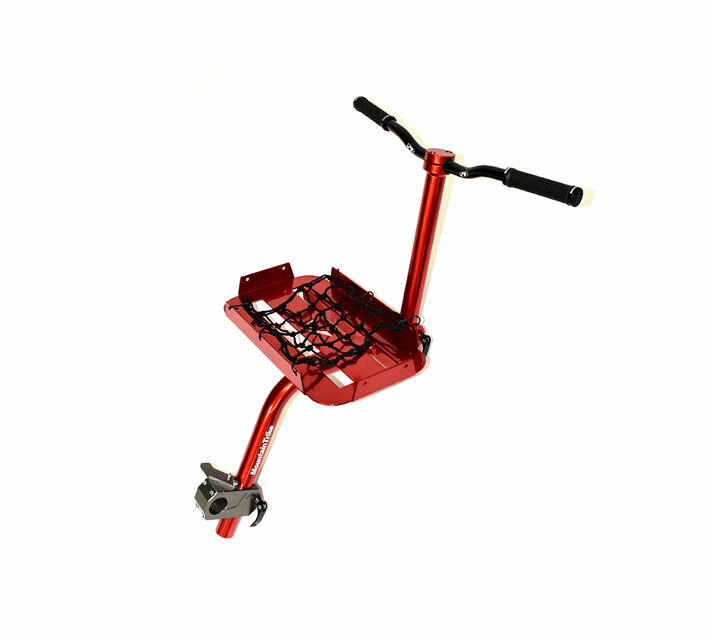 It does not have the unique lever drive system where riders can propel themselves but has an adjustable push handle located behind the user, which is where the steering and braking takes place by the riders buddy. 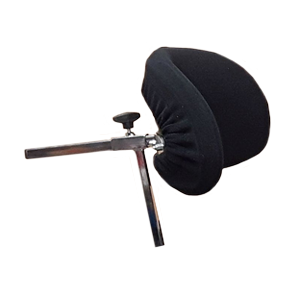 The drive levers have been replaced with adjustable armrests for rider comfort. 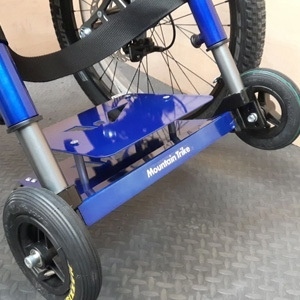 With all the features and rugged good looks of our original Mountain Trike, but without the need to self propel - this Trike comes with a built in push handle so you can be pushed in style. 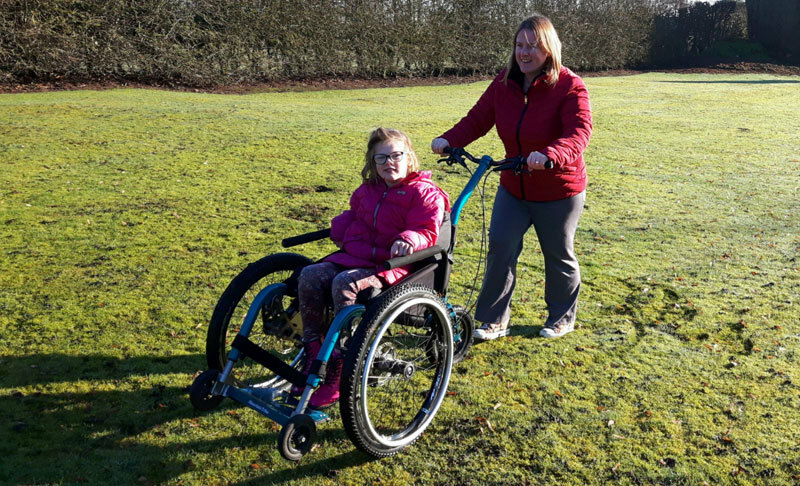 We introduced the MT Push into our product range in 2015 and customers have found it ideal for country walks with family and friends, city breaks, strolls along the beach and even muddy music festivals! 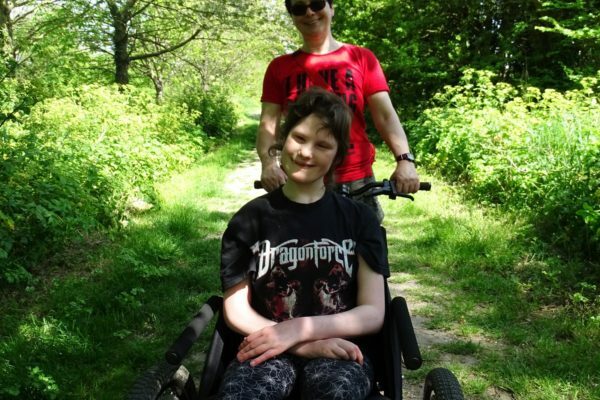 If at any point your circumstances change, it is possible to convert the MT Push to the lever drive Mountain Trike. 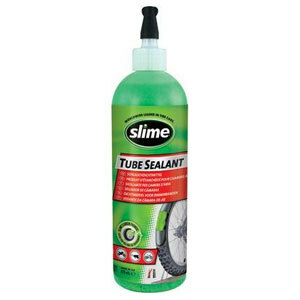 This offers greater flexibility and the option to self propel at a later point should you require. 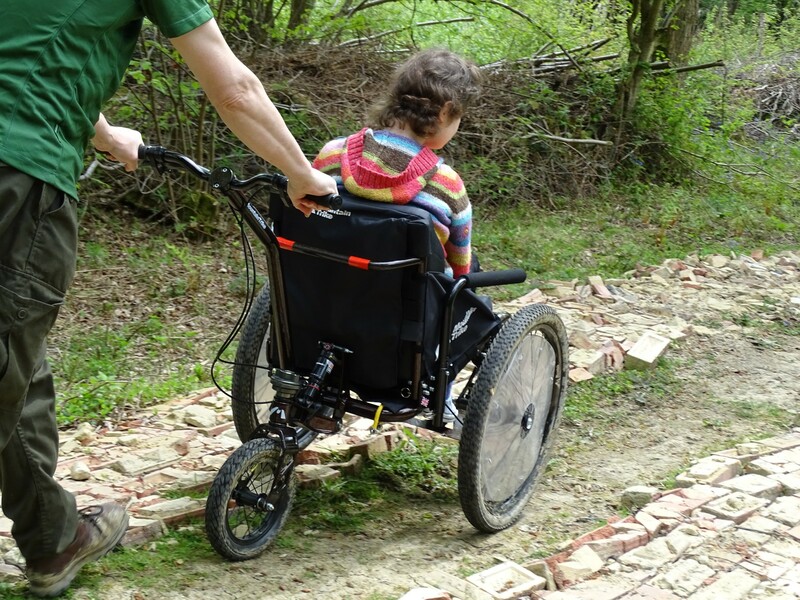 The large front wheels and rugged chassis make the MT Push a joy to push over a variety of terrain, even wet grass, muddy trails, uneven paving and sand. 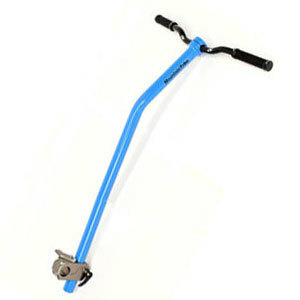 Gives you excellent propulsion, control and braking, over difficult ground and up steep hills. 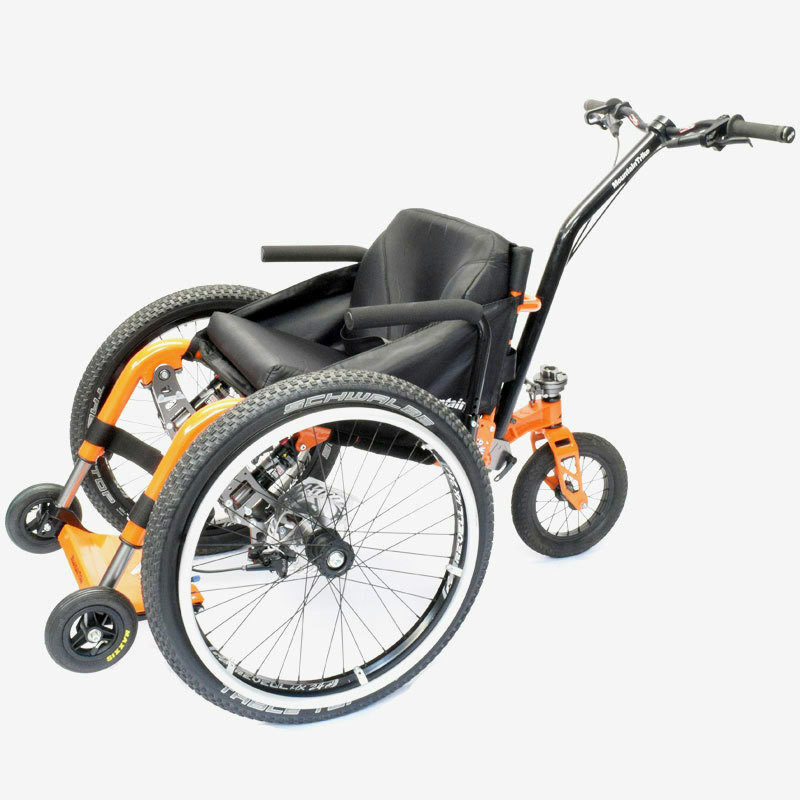 With our MT Push model this comes with a standard seat back height of 420mm (100mm higher than our self propel models). If you are concerned about wandering fingers then we can fit a pair of clear plastic spoke guard discs. 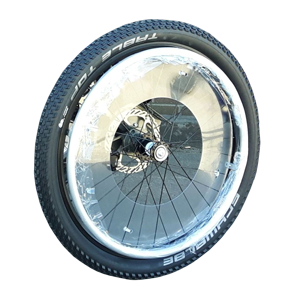 These can be fitted on either the outside of each wheel or on both sides using two sets of spoke guards.